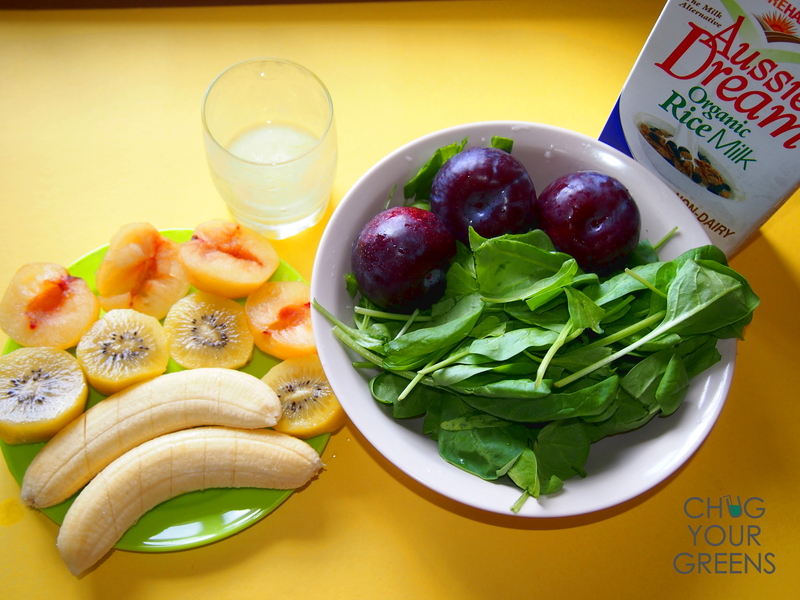 I went on a 2 weeks break and I’m now back to posting more Green smoothies recipes for you! While White Peaches are my favourite fruits, Plums are more readily available and they are cheaper. It is closely related to peaches, cherries, apricots and they are collectively known as Stone fruits. Plum is usually juicy and sweet tasting with a slight tartness. contains essential minerals e.g. Potassiam and Iron. Iron is needed to form red blood cells and Potassium helps regulate heart rate and blood pressure. 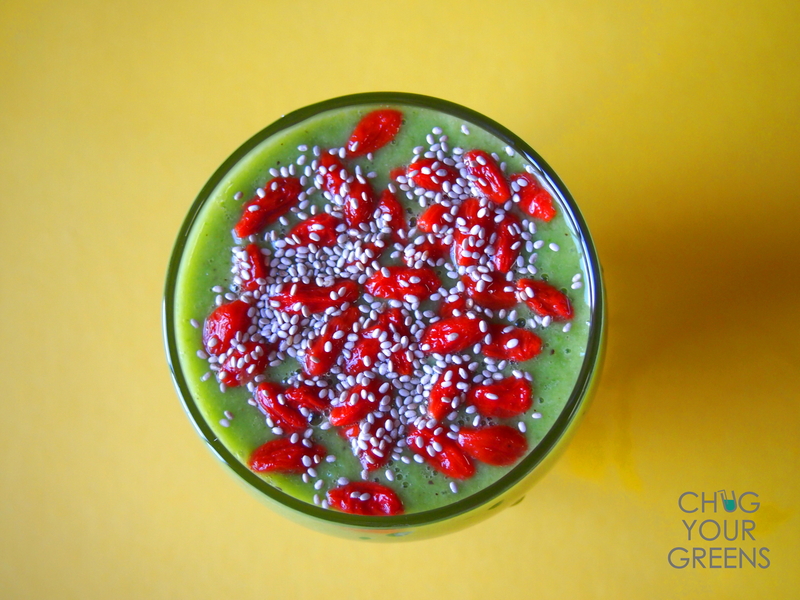 Nevertheless, it was a yummy drink and I topped it up with Goji Berries and Chia Seeds for some Superfood nutrition! Definitely an amazing breakfast substitute! If you suffer from constipation and can’t find fresh plums, snack on dried plums (which can be easily found at supermarkets). Plums are also commonly used in baking and Plum purée makes great sauces. Hope you enjoy this recipe!!! Wow will definately try this one when plums are in season here in Germany! Thanks Luisa 🙂 Hope you enjoy blending them! It’s yummy!